Eyal Bar-Zvi is the co-head of transfer pricing with a focus on high-tech ventures. Eyal has over 10 years of experience in drafting, negotiating and defending transfer pricing documentation, and often participates in transfer pricing due diligence processes as part of mergers and acquisitions involving Israeli companies. Eyal also performs cost allocation analysis for the firm’s clients. Eyal represents Israeli companies in their audits in Israel and abroad, and often lectures at the Israeli CPA Association on matters related to transfer pricing. 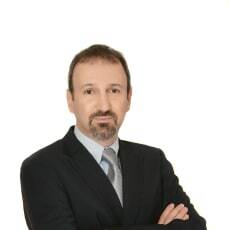 Eyal has published numerous articles on those subjects, both online and offline, and is also an adjunct professor at the Haifa University Faculty of Law, where he teaches a workshop on transfer pricing. Eyal speaks Hebrew, English and German, and is a member of the German–Israeli Chamber of Commerce and the German–Israeli Legal Association. Eyal acts as a mentor and pro bono legal counsel to IDF intelligence and air force corps programmes.